With the sun shining and the bank holiday right around the corner, what sounds better than heading to the course and hitting a few balls with the boys? Absolutely nothing. But have you ever found yourself in a situation where you’ve forgotten a crucial element for your trip? Your trusted lucky club perhaps? Well fear not, this article is going to run you through all the essential golf travel items you need to pack for your long-awaited golfing trip. If the weather is right for a game of golf, then the chances are that you’re going to need a pair of sunglasses too. 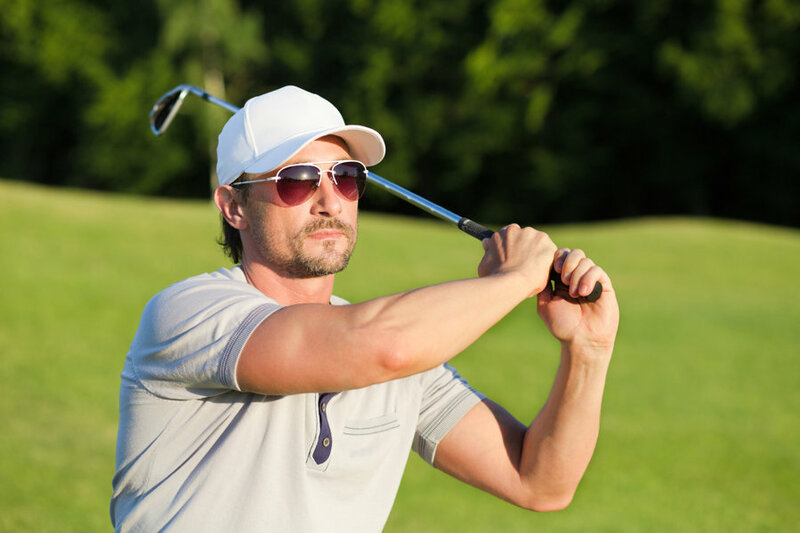 You need to ensure that you secure the right pair of sunglasses; durable enough to stay on whilst you take a swing, dark enough to obscure UV rays from the sun and finally comfortable enough to endure 18 holes. You’re definitely going to need a pair if you’re fortunate enough to be golfing in luxury abroad! Next on the golf abroad checklist – Be cautious when packing your cap as you don’t want to squash the bill and therefore let it lose its natural shape due to it being crammed into your travel bag. You need to choose your cap with two crucial elements in mind… style and productiveness. You want to look as good off the course as you do on it so choosing the right cap to pack for your golf trip is crucial. Maybe go for a moisture wicking sweatband to keep you cool on those long golfing days and to compliment that go for a mesh back for ultimate breathability. 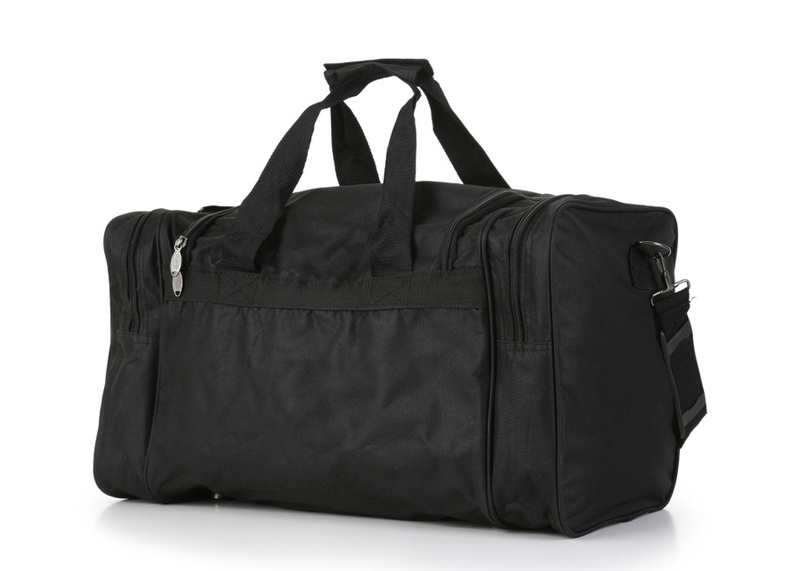 Packing your golf travel gear would be nothing without a golf travel bag to store it all in. What you’re looking for is something puncture resistant, waterproof and big enough to fit everything in. 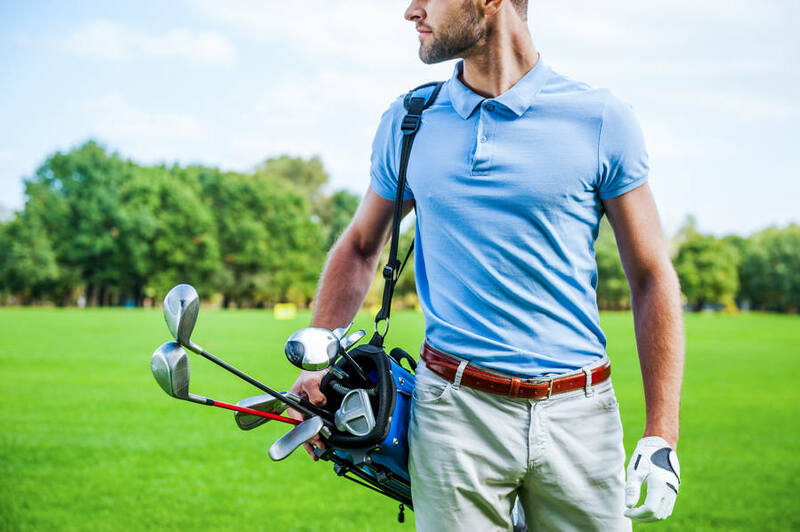 Whether it’s a wheeled option that is your preferred method of travel, or just the standard over the shoulder carrier for your perfect golfing trip away – here at GolfSupport we have a variety of options and pride ourselves on finding you that perfect fit. 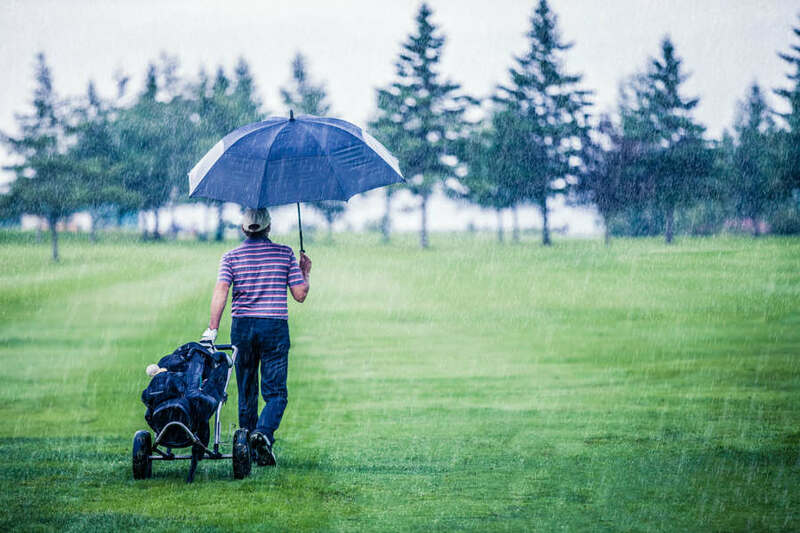 Every golfer needs an umbrella… even after checking the weather forecast three times before you leave for your golf trip you never know what the Great British weather is going to spring upon us, especially if you are packing for a golf trip to Scotland! Therefore, an umbrella is essential. What would be worse than getting drenched on the course? Another essential to tick off your golf travel checklist, whatever the weather every golfer needs a signature polo to make an impression both on and off the range. 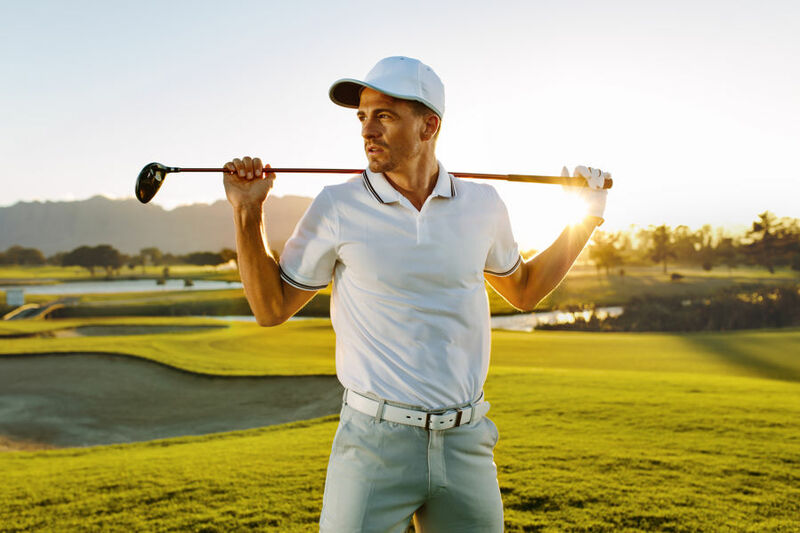 The majority of our polo’s are designed with moisture wicking materials that absorb moisture on those hot days on the course but also offer premium comfort throughout the game. As well as this, you should look for golf tops that incorporate anti-odour technology which will prevent any odour that might cling to you. You never know when these are going to come in handy. 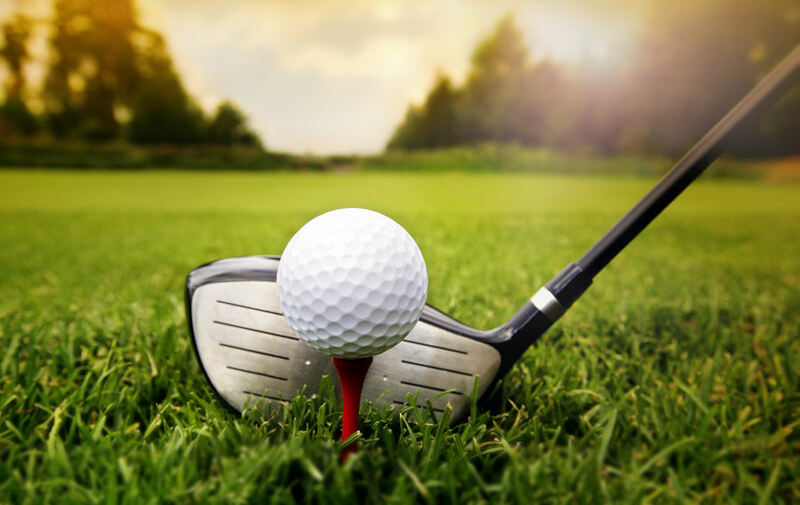 Whether buried deeply in a sand hazard or floating downstream somewhere – a spare set of golf balls are always a necessity to take on a golfing trip. If you’re not sure which ball to pick, we’ve written some handy tips on choosing the best golf ball for you! So, there you have it, this is your ultimate checklist for all the golfing accessories you’re going to need on your trip. By using this there is no way you could possibly leave anything behind. 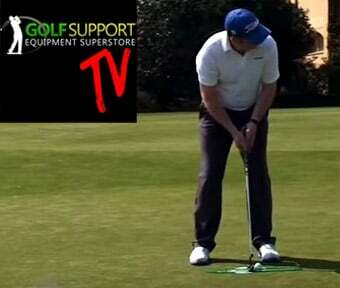 If you enjoyed this article, make sure to check out our other golfing-related posts here.